Where: Hyde Park Prime Steakhouse, 247 N. Shore Dr., Pittsburgh PA. 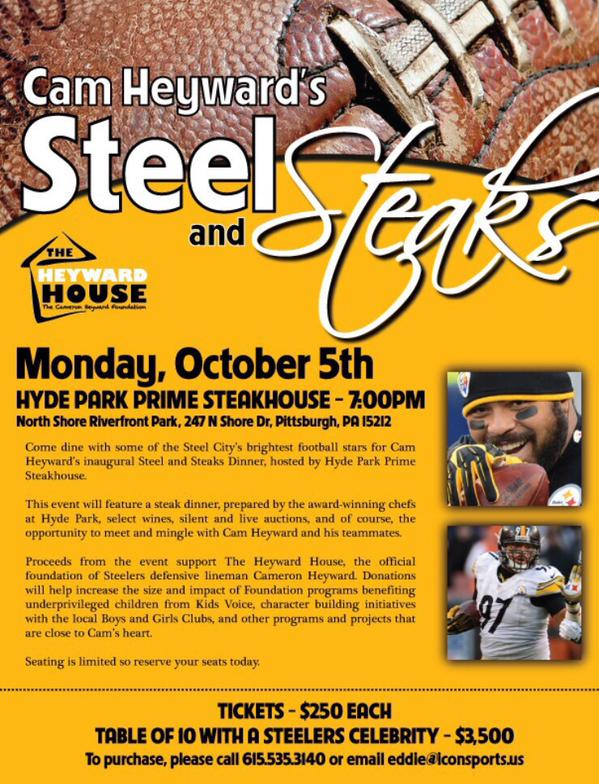 Proceeds from the event support The Heyward House, Cam’s official foundation. Donations will help increase the size and impact of Foundation programs benefitting underprivileged children from Kids Voice, character building initiatives with the local Bous and Girls Clubs, and other programs and projects that are close to Cam’s heart. 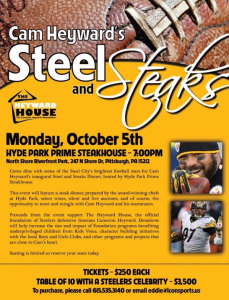 Come enjoy amazing food, mingle with Cam and his teammates AND support the work of Cam’s Heyward House Foundation!